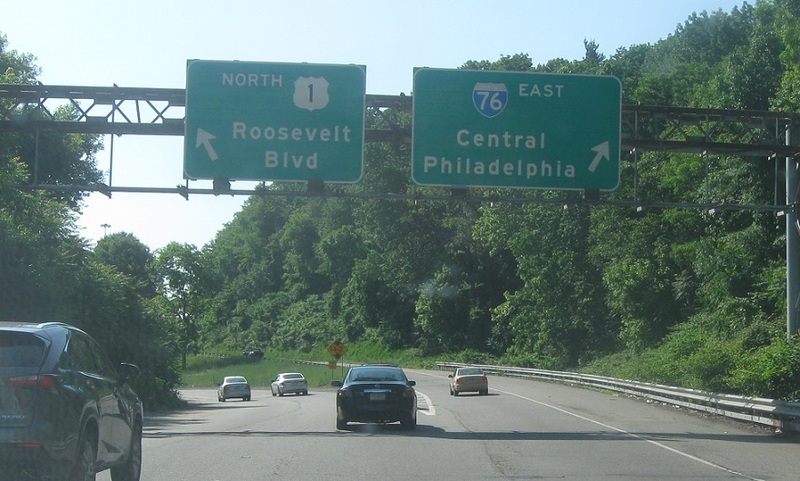 Just as US 1 joins I-76 it will prepare to split. 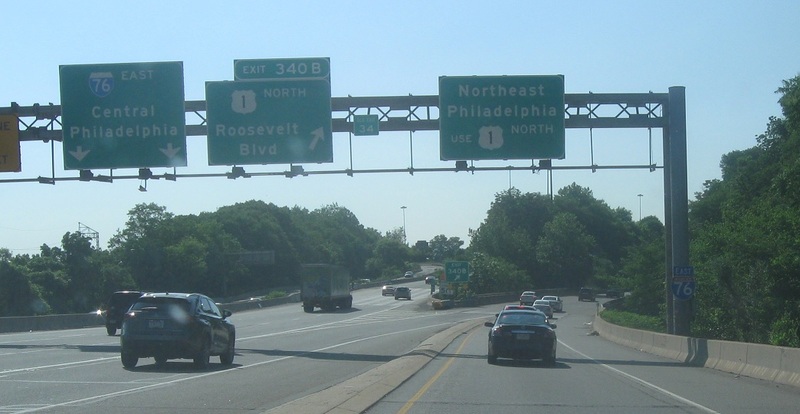 Exit for US 1 north and northeast Philly. 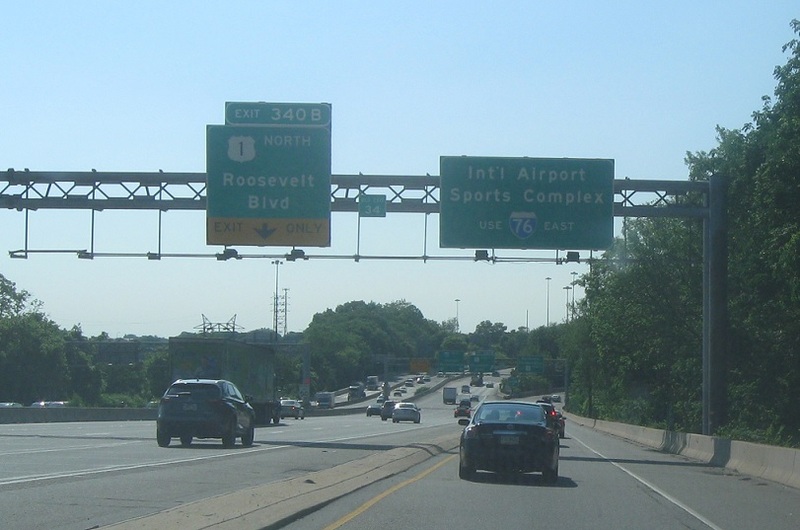 Keep right to merge back onto I-76 east.